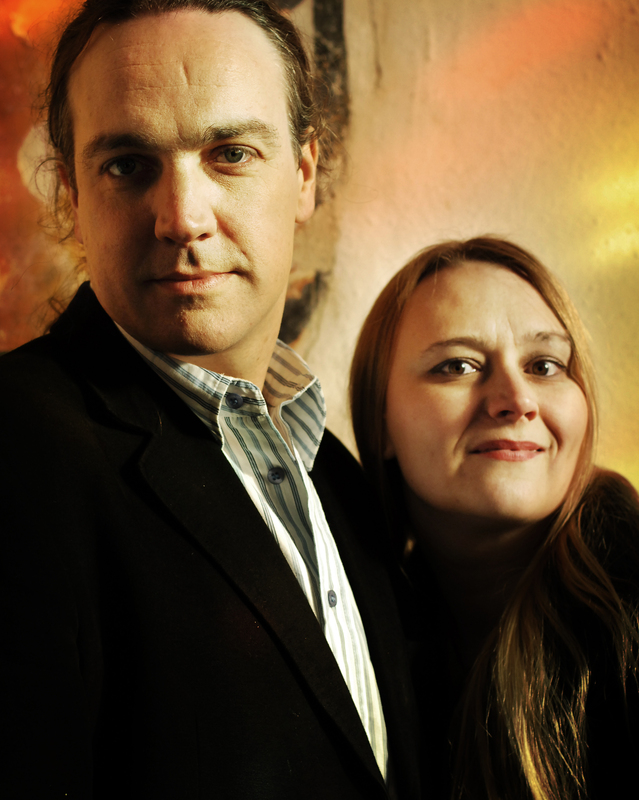 Vicki Swan and Jonny Dyer have been creating music together since their late teens after meeting at the local youth orchestra. They first formed a three-piece band in 1999 but five years later concentrated their efforts playing as a duo, though each has their own individual musical projects. What makes these two musicians somewhat different from other duos is the choice of musical instruments to accompany their songs, a mix of traditional folk songs and self-penned works. 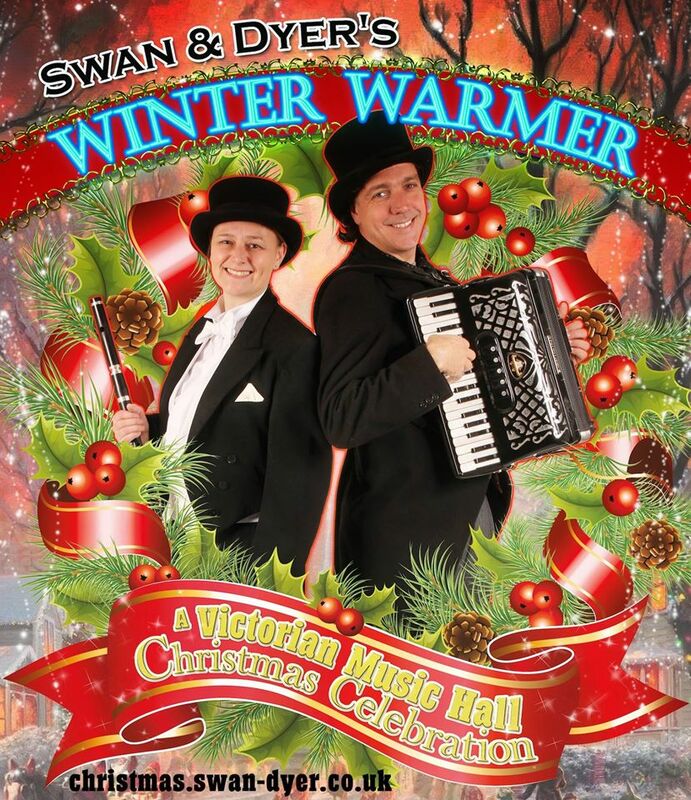 They are currently working on a new album before taking to the road with their Christmas flavoured show, which in its full glory is aptly entitled Swan and Dyer’s Winter Warmer – A Victorian Music Hall Christmas Celebration. Designed to appeal to all ages it is this show that is coming to Kettering Arts Centre on the afternoon of Sunday, 13th December. 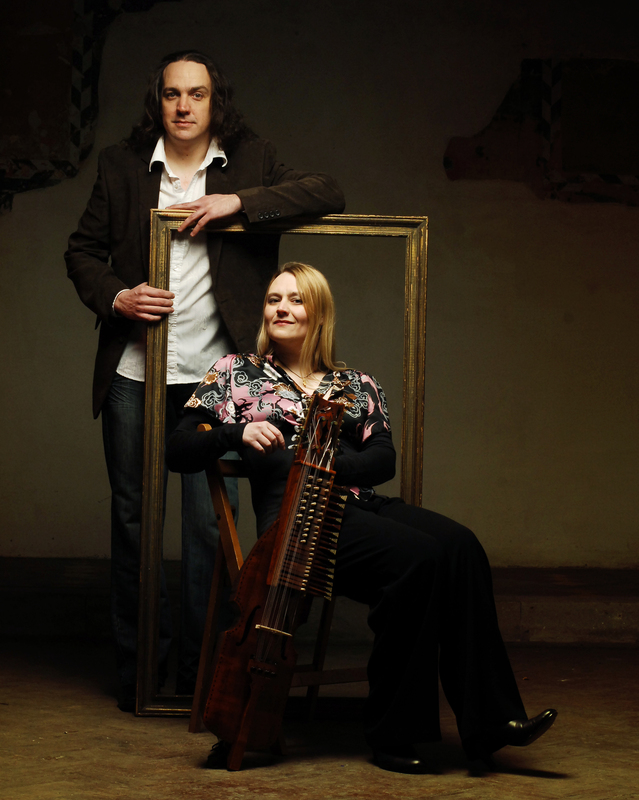 When I spoke with Jonny and Vicki they were ‘recuperating’ after spending a week in the recording studio and they told me a little more about the show, the instruments and their musical backgrounds. Jonny added: “We looked around to find the music we like and tempered it to what we think the audience would like to hear and join in with. It is a happy celebratory show and some of the instruments we use are modern versions of some of those that would have been used at the time, along with some others. The nyckelharpa that Vicki plays originates in Sweden and is a 16 string keyed instrument played with a bow, though with 12 resonating strings and only three ‘played’ strings (the fourth is not keyed) and although she said it looks more complex to play than it is I am not quite so sure. Vicki came to ‘get to know’ this instrument courtesy of her Swedish mother and with her father being a Scottish piper, it is easy to establish from where her musical interests were garnered. She also plays the double bass, which she studied at the Royal College of Music and went on to win the solo double bass competition and, unsurprisingly, the bagpipes. Complementing her Jonny plays guitar, a gandola (guitar shaped octave mandola), accordion, bass guitar, spinet and on occasion his Kerry low D whistle, trumpet and cow horn! Jonny said: “The nyckelharpa is an amazing instrument, it fulfils a lot of roles at once, being either used as a solo instrument or for backing. It also means Vicki can sing while playing it which she can’t do with the pipes. 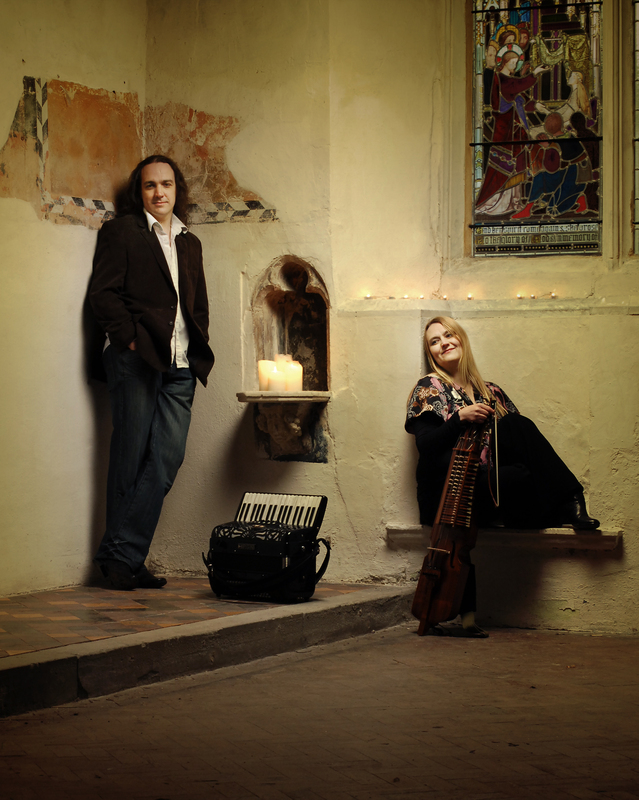 In their spare time both musicians enjoy listening to classical baroque music and folk songs from which they can take inspiration for new material. Jonny is drawn to the many different genres from early romantic classical music to jazz. 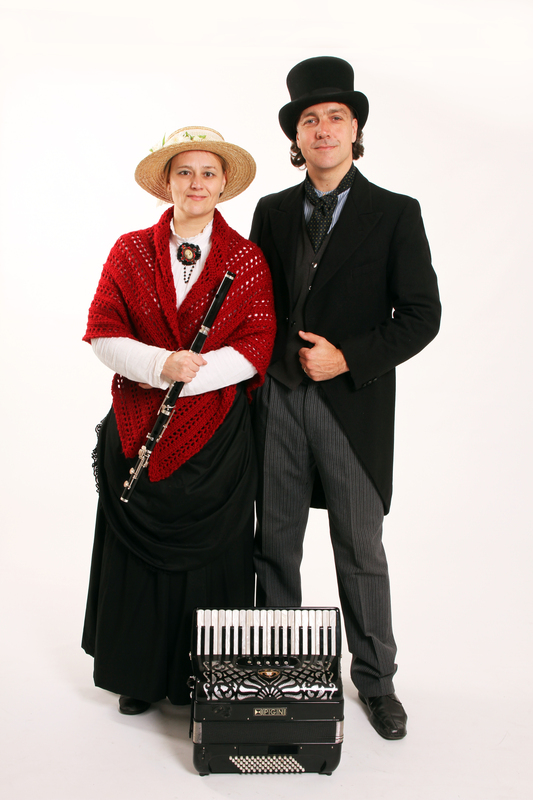 For Swan and Dyer’s Winter Warmer the duo will be recreating the feel of the music hall tradition, complete with period costume. It promises to be a foot-tapping, hearty singing and jovial Christmas celebration event for all the family to enjoy. Samples of their Christmas songs can be found on their website here, for the real deal why not come along and see them at Kettering Arts Centre. Please click here for further information and booking.